Jingchen (Tiffany) Zhang, CFYS Research Assistant who came to Victoria from Beijing as a MITACS Global Intern. Many issues facing youth and families today are complex. Teams of researchers at the University of Victoria gather at CFYS to design, conduct and mobilize research toward youth well being. 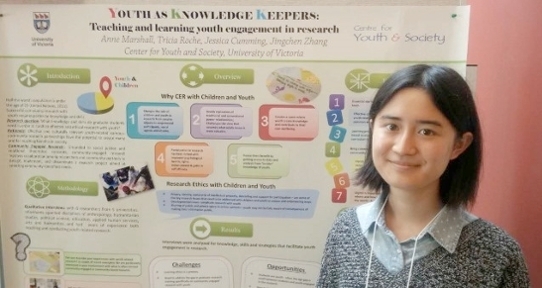 Recent research projects are grouped by theme: health, transitions, Indigenous youth, youth & international contexts, inclusion & engagement, literacy & digital youth. To contact specific researchers, see our Research Fellows page, which lists Research Fellows' interests, departments, and contact information.